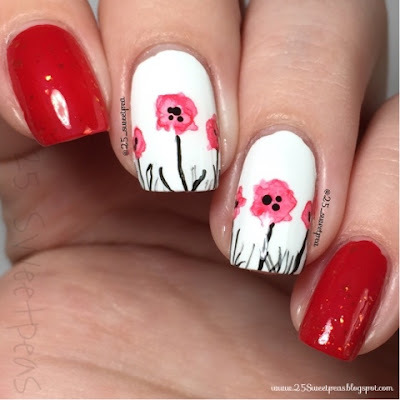 Hello, happy September! Crazy right, I can't believe it! 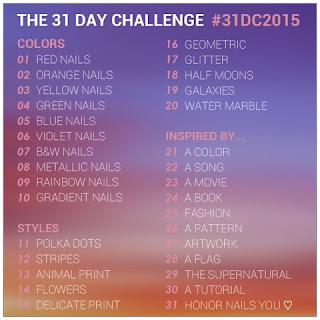 Also today is the first day of #31DC2015 ! Today's theme is red, and it's a Bestie Twin Nails for me! So big exciting day for nail thing! Oh and I have a tutorial. 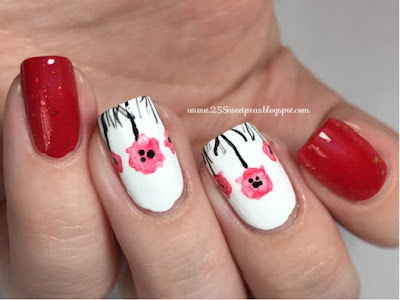 :) A very full post today. So let's start with the solo shot! As I mentioned earlier these were done as Bestie nails with JourNAILism! First off I just love her name! How fun is it, a great play on words, it's really perfect! 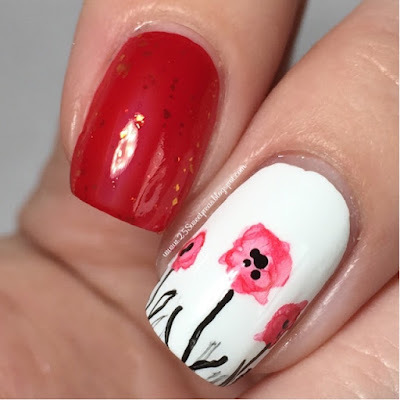 Plus all of her nails are just wonderful! As always if you have any questions or any thing let me know! 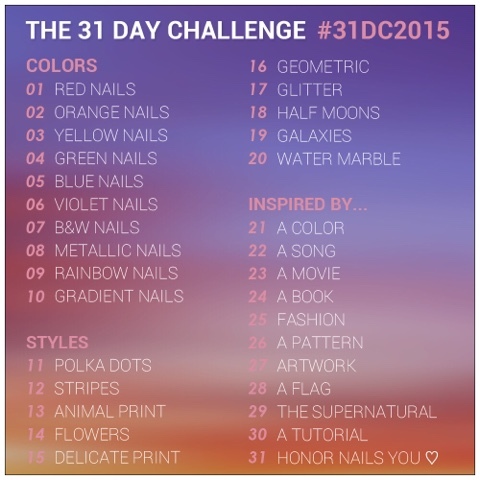 :) Below I have a list of this months challenge, ChalkBoard Nails puts this on every year so if you have questions about the challenge directly I would suggest heading over to her site HERE. 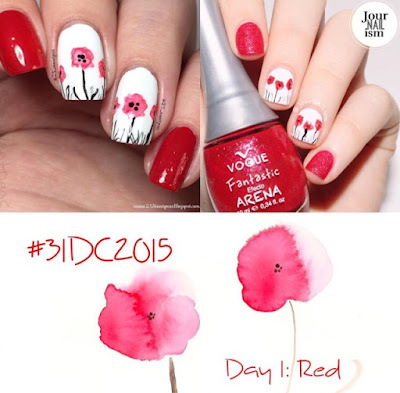 Happy Painting, and Good Luck to all participate in #31DC2015!